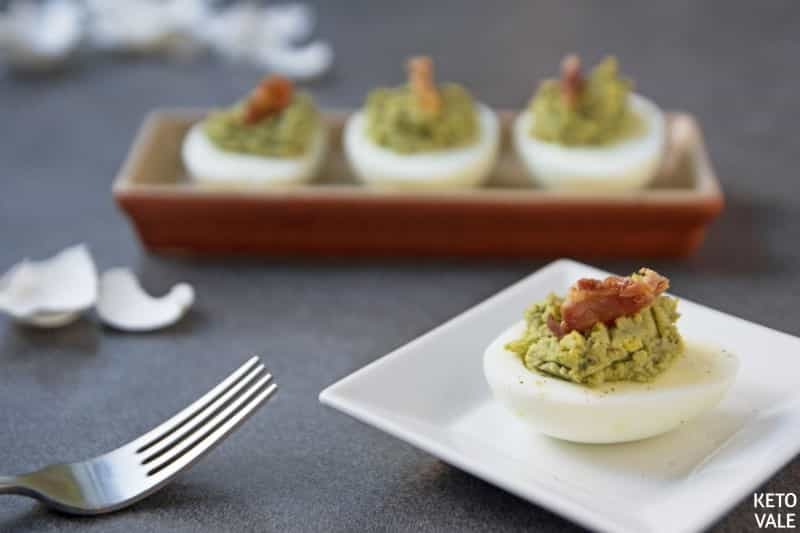 This simple avocado bacon deviled eggs recipe is a creative way to enjoy the common keto foods as well as incorporating good healthy fats into your diet. 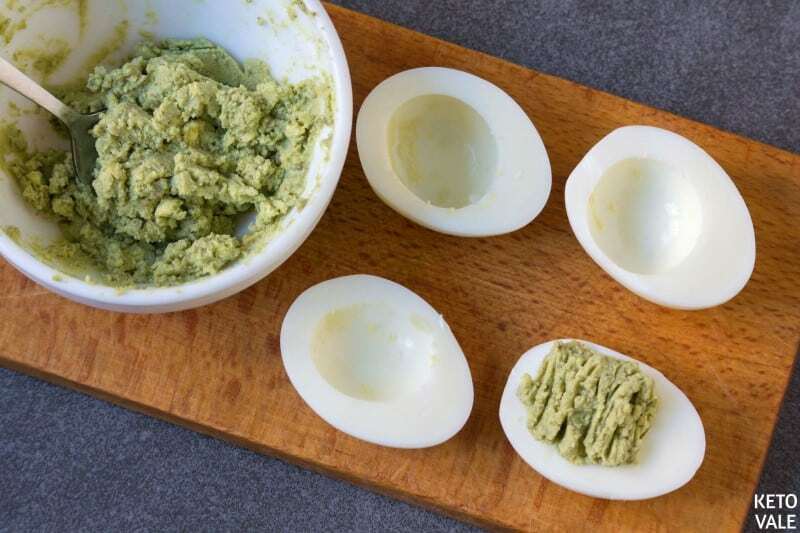 Instead of eating bland boiled egg and avocado, you can combine these two together to create an amazing looking dish. 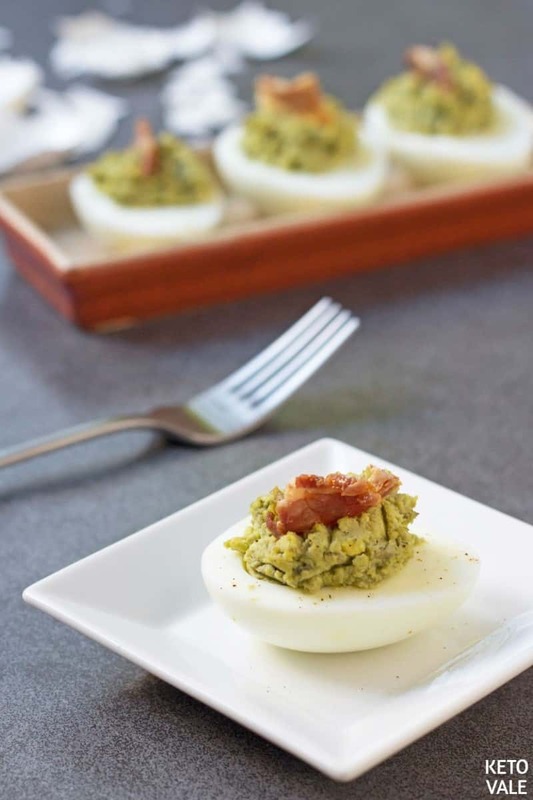 The green color of the avocado blends really well with the yellow color of egg yolk. The final product is creamy and packed with flavors. A pieces of bacon bits add perfect crispiness. 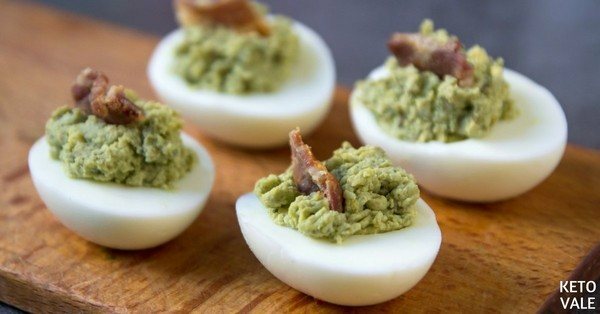 Deviled eggs are an awesome appetizer for party and a great keto snack. There is no mayonnaise needed for this recipe. However, you can add mayo or other low carb sauce of your choice. Hard boil the eggs. This should take about ten minutes. Once hard boiled, allow the eggs to cool. Peel and slice in half. Slice the cooked bacon strips into fourths. 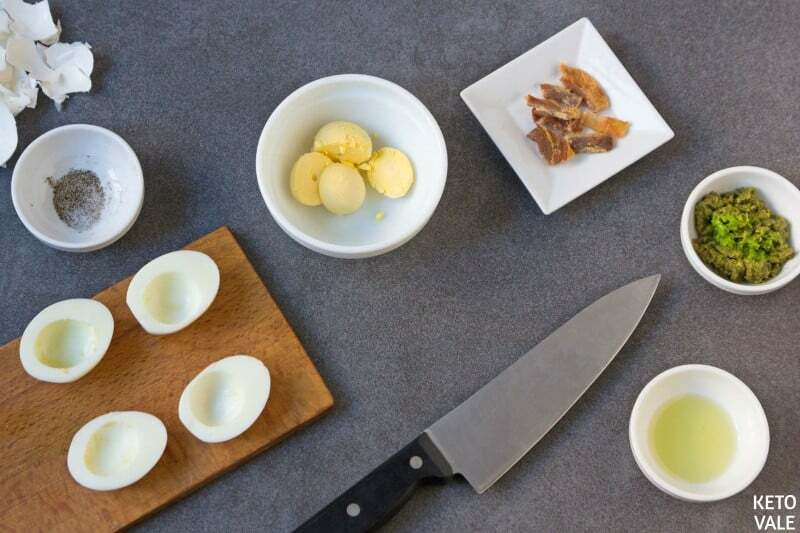 Remove the egg yolk and put it in a bowl with the oil and avocado. Mash these ingredients with salt and pepper. 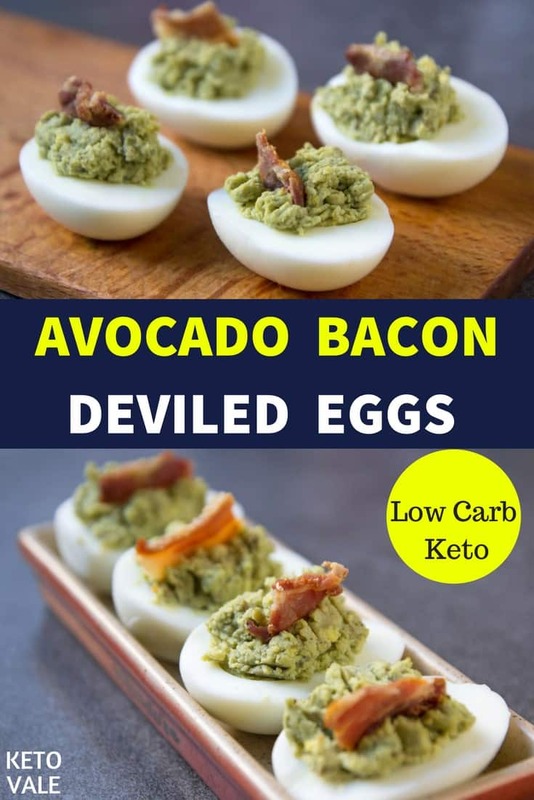 Fill each egg half with avocado and top with a piece of bacon. Boil the eggs in a pan filled with water for around 10 minutes until they are hard boiled. Remove from the heat and leave to cool before peeling off the shells. Slice into two portions. Spoon out the egg yolk and place in a bowl along with the avocado and oil. Mash the ingredients together and season with salt and pepper to taste. Quarter the bacon strips and set aside.